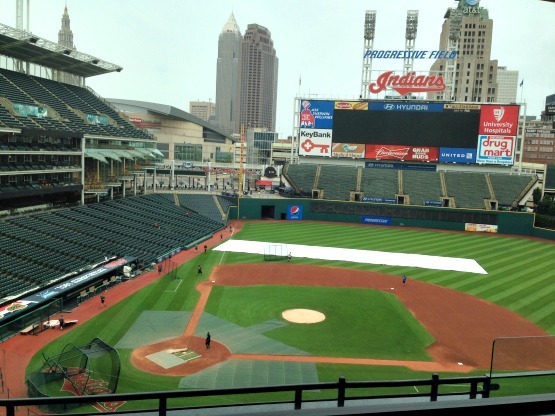 Progressive Field-Cleveland, Ohio: Ever step into crap and come out smelling like roses? Well, this is kind of what happened to us here in Cleveland (I am not implying at all that Cleveland is crap. 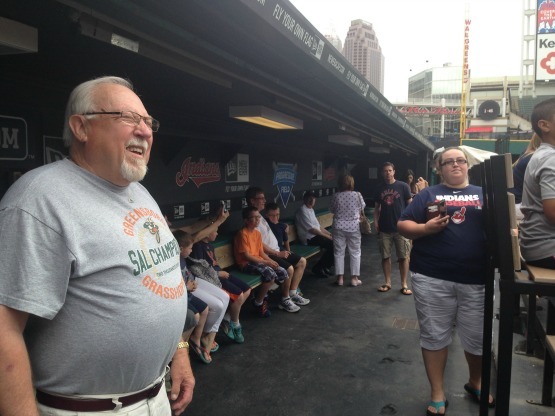 In fact, everyone we interacted with was extremely nice, especially at Progressive Field). 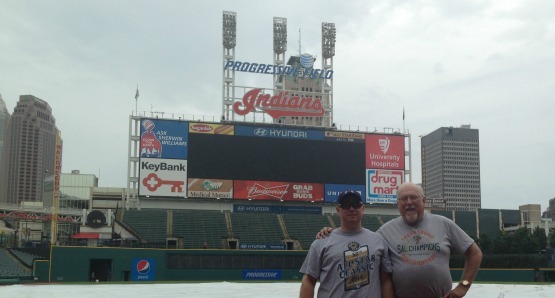 After enjoying the Baseball Heritage Museum, and getting a bite to eat in downtown Cleveland, we found that we had plenty of time on our hands before heading east for the Lake County Captains game. 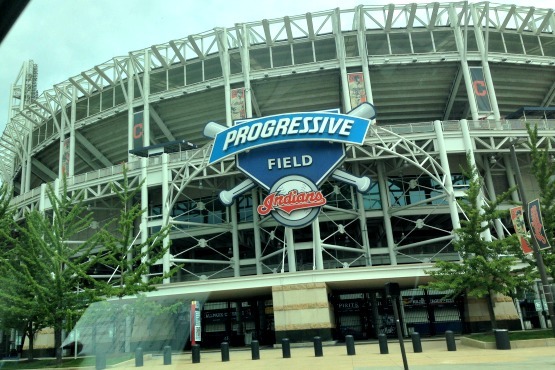 Noticing that we were only a few blocks away from Progressive Field, home of the Cleveland Indians, we decided to head over that way and poke around a bit. 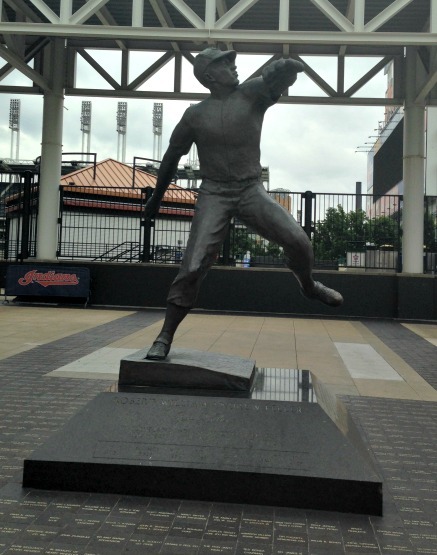 Outside the ballpark, we were greeted my none other than Bob Feller, himself. 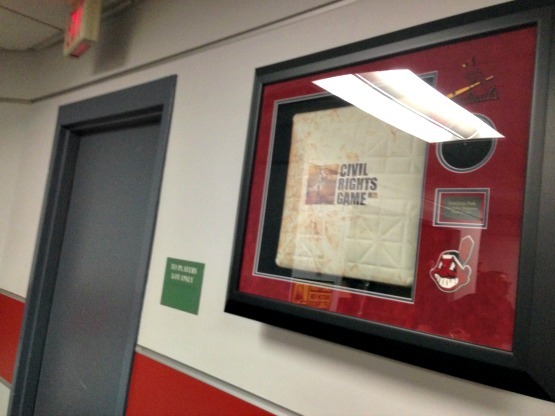 Upon further exploration, we found that the main gift shop was open, and I saw a sign inside that advertised the ballpark tours. 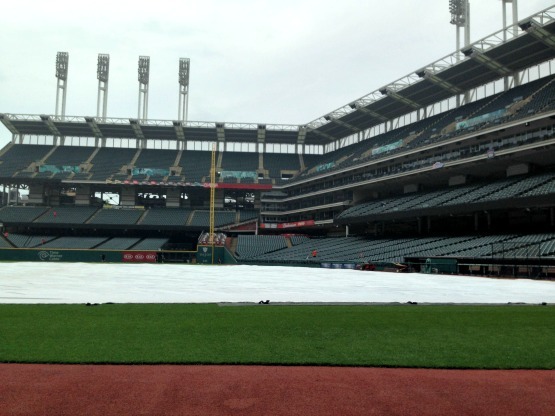 Wow, this was too good to be true, here we are with extra time, and a big league ballpark to poke around! When I asked about the tour, I was informed that the last one of the day had just left. But hey, we’re in Cleveland, and these staff members were pretty cool. One ran out the door to hold the tour for us, while we purchased our tickets. I had forgotten my camera, so I used my phone for all the photos at the museum, and was now looking at just under 20% heading into the tour. 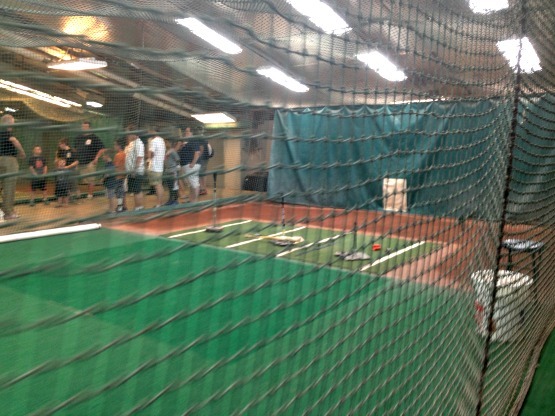 We caught up with the group in the indoor batting cages. This was a pretty cool area, and it’s amazing to find out how many hours the players spend in here hitting the machine and off of the tee. We were at the tail end of the group while leaving, and I happen to see a little patch of white by the door. It was none other than an official Major League baseball. I, of course, did the noble thing, and shoved it into my cargo pocket. 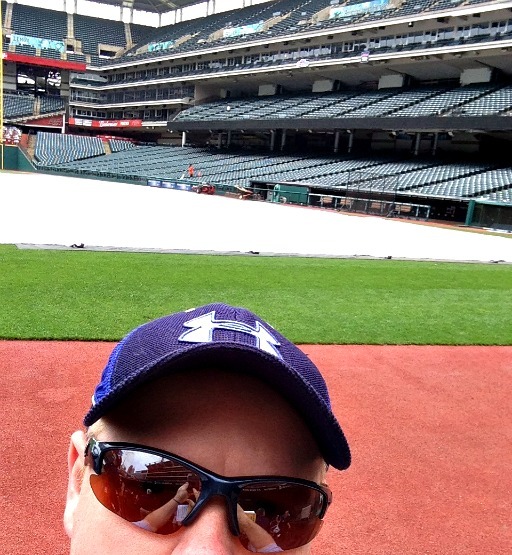 We then made out way to the Indians dugout, which is a pretty fun place to hang out. 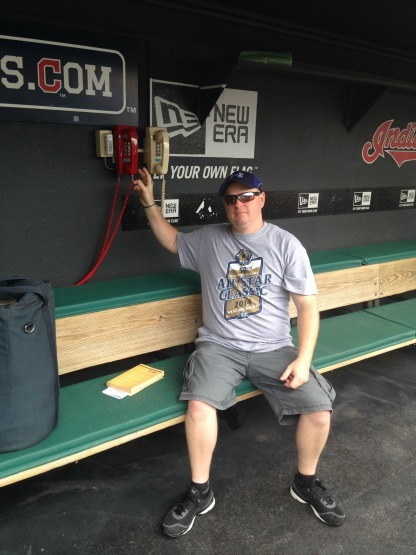 We were able to sit on the bench and check out the phones used for calling the bullpen, and for a challenge. 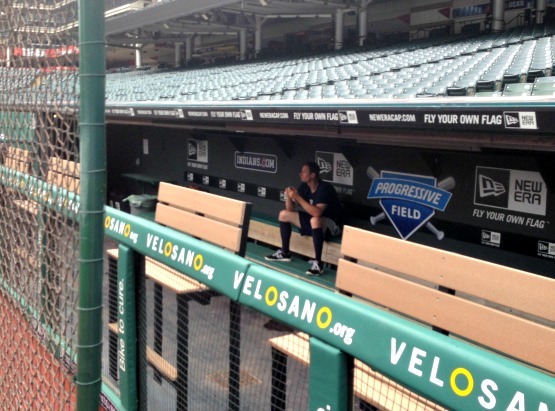 I have to admit the major league dugouts are very impressive. 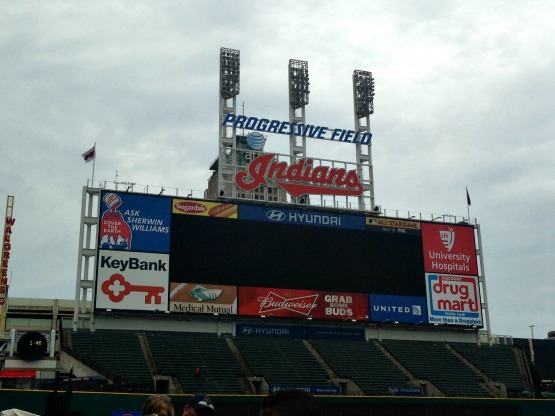 I was also able to get some good photos of the ballpark from ground level. Despite using my phone, some turned out pretty well. We then made our way around home plate toward the visitors dugout. 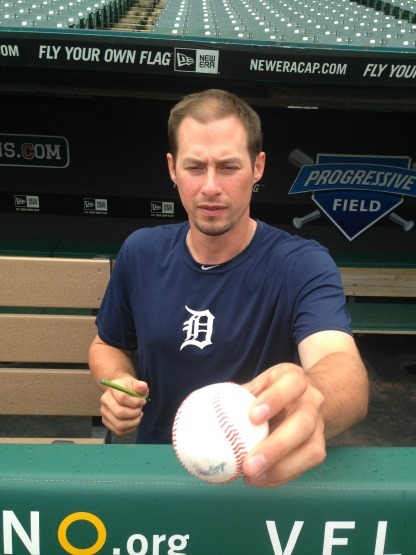 Lucky for me, the visitors were the Detroit Tigers, and sitting in the dugout preparing for the game was Don Kelly. He was nice enough to sign some autographs for some of us fans, and I was lucky to have found that baseball! It would have nice to chat with him for a bit, but the staff giving the tour prompted us to keep moving. Our next stop was the bullpen, and we were able to see the other end of the phone that was in the dugout. 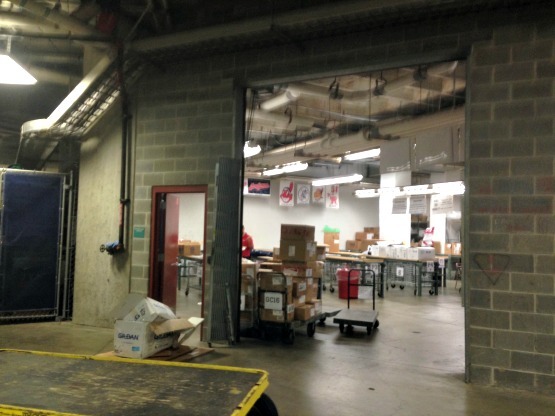 Back inside the park, the tour took us to the lower levels where the merchandise was unloaded and taken to the booths in the stadium. We were also in the area where the players make their way up from the parking lot, but we weren’t lucky enough to run into any more players, though. The suites above home plate were pretty amazing, though. Here I took probably the best pic of the tour. 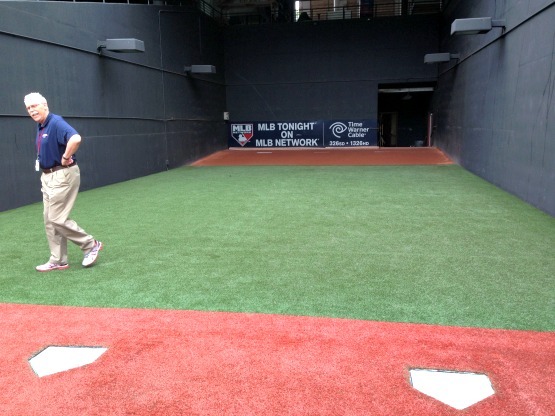 We’ll definitely have to look into more ballpark tours on our future trips. 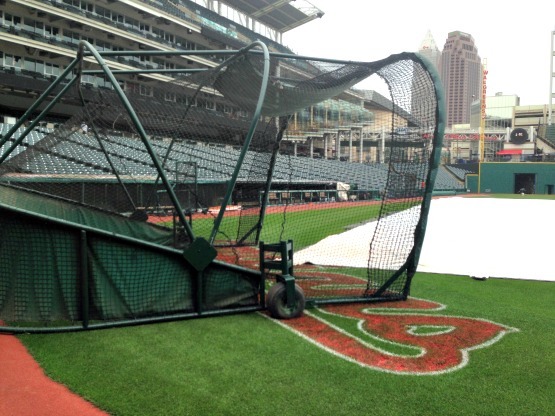 The staff at Progressive Field treated us very well, and I highly recommend the tour to any baseball fans visiting Cleveland. Next time I’m in town, we might just have to take in a game there. By the way, still had 2% left on my phone when the tour ended.